Gung Hay Fat Choy or Happy New Year in Chinese! On Thursday, China will celebrate their new year. 2011 is the year of the rabbit which is supposed to be a calmer year following the tumultuous year of the tiger in 2010. The Chinese celebrate the first day of the new year based on the lunar calendar with parades, traditions and elaborate meals. If your family could use a little extra luck this year, try out a few of these Chinese New Year traditions. Start with a thorough house cleaning to rid your house of any disappointments from the past year and to bring in good luck for the next year. On Thursday, wear red as it is considered a lucky color. Make Chinese food for dinner (or order out!). Click here to learn more. Your children will have fun learning more about the history and traditions of the Chinese New Year, even if they don't buy in to the top to bottom house cleaning! Did you know that this week is No Sticks and Stones week? Barnes and Noble has put together a web page to help educate parents and educators on ways to stop bullying in its tracks. 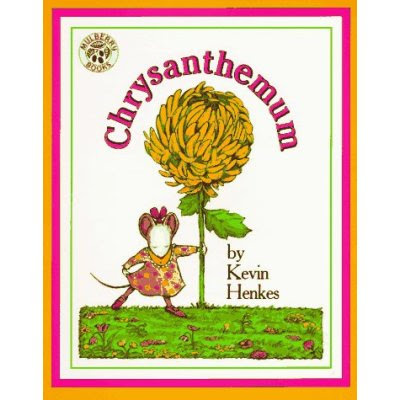 The terrific book Chrysanthemum by Kevin Henkes is mentioned as an appropriate book for parents to read to their kids to help them understand how hurtful words can be sometimes. Your children will not only love reading Chrysanthemum, but will also learn about compassion. 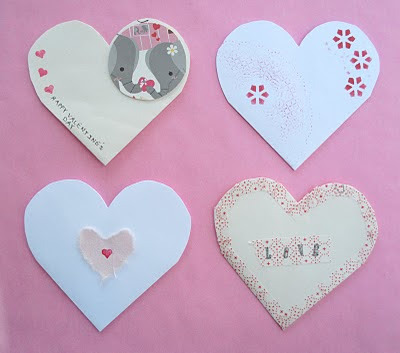 We think these homemade valentines are so cute! 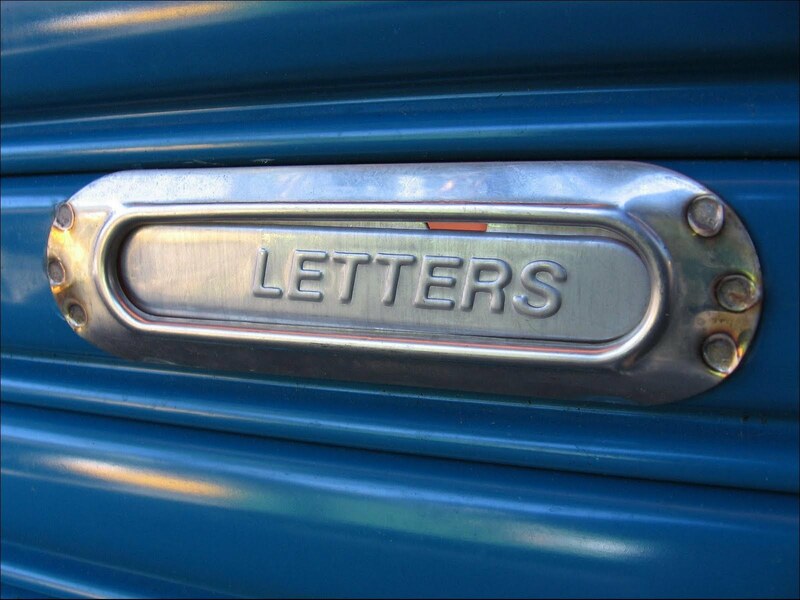 The super creative blog, Zakka Life, has cleverly made valentines from old envelopes. Your child will love crafting their own valentines this year and also being kind to their environment! We love these dresses, but were not sure how our customers would respond. We've been pleasantly surprised that the Paris Toile dress is one of our best sellers so far this year! Tell us what you think....why do you think it's such hit? 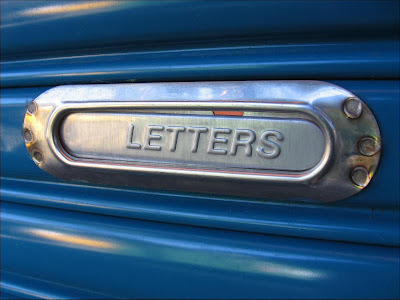 If you are looking for some yummy new ideas to suprise your little cupids this year, take a look at the Skip to my Lou blog! You will find some terrific recipes for delicious gifts for your little valentine. Have you heard of ikat? If not, ikat refers to a universal weaving style common in many world cultures, and is likely one of the oldest forms of textile decoration. It's popping up on dresses, tops, and accessories this season and we love it! Take a closer look at our ikat and tribal print dresses for spring, and definitely don't miss the mom's matching ikat dress! Click here to see more. Little girls LOVE Valentine's Day and we do too! 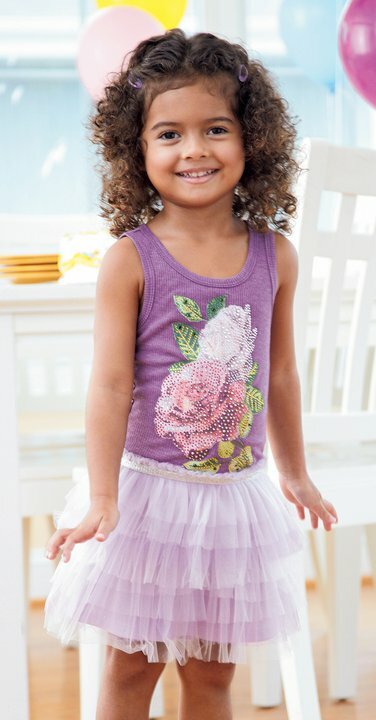 Your little one will stand out on the big day in this adorable dress. You can top this dress with a cardigan this winter and then wear it alone all summer long. Be prepared for Valentine's Day this year by ordering this dress NOW! It is one of our top sellers from our newest catalogue. We also have a slew of other special items which would make perfect Valentine's gifts. Take a look here. We are on our third day off of school due to a thick coating of ice and snow. Phew! To avoid cabin fever, we are making paper snowflakes and reading the terrific children's book, Snip, Snip... Snow by Nancy Poydar. This is a wonderful book about a young school girl who really wants it to snow. 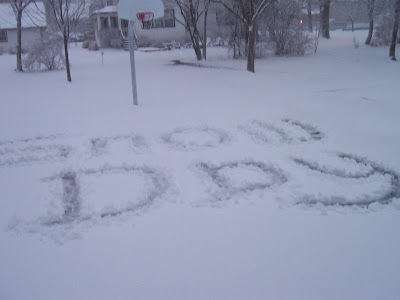 A snow storm is supposed to start during the school day, but the storm is late. The girl and her classmates make paper snowflakes while they are waiting and decorate their classroom windows. In the end, the storm does arrive and the children are delighted. On the last page of the book, there are instructions on how to make your own paper snowflakes. The South is in the midst of a large winter storm (okay, large for us...) and school was kindly canceled last night. We have received two inches of the white stuff as of 7am and it is predicted to keep falling on until tomorrow. My children could be out for days. I know I will be looking for activities that do not involve a power cord by midday. Luckily, I saw this clever idea on the Make and Takes blog to keep children busy and work on a bit of science at the same time. Pop over to the Make and Takes blog and you will find a plan for creating a science journal to record your child's observations about the snow. For us, snow is such a rare event that my children will be mesmerized by everything about it and will relish the chance to document all of snow's wonderful, school-canceling attributes. Have fun! Our new spring catalogue was mailed the week! We are so excited about all of our new clothing and the thought of warmer weather.... 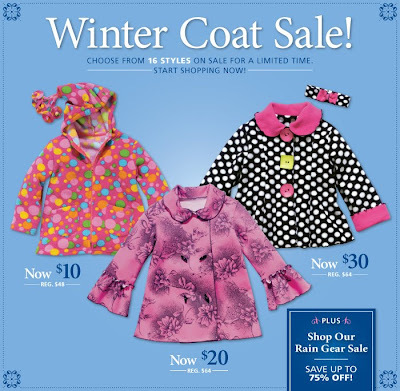 If you did not receive your catalogue, click here and you can see all of our newest warm weather fashions on-line. Spring may still be a few months away, but this new sunny dress from Mullberribush has brightened our winter days. We LOVE this outfit, from the trendy tiered dress to the matching headband and shrug, this outfit is sure to be a hit with girls everywhere! Are you dreaming of sunny skies and warmer weather? 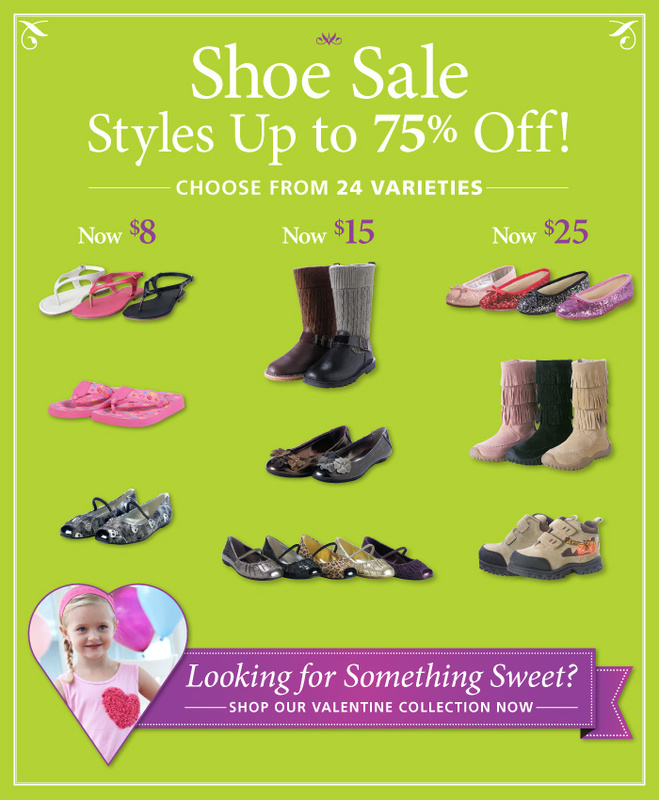 Take a look at our newest catalogue and get a jump on the newest styles for spring. Tell us what you like, we would love to hear from YOU! Aren't these the cutest little desserts that you have ever seen?? 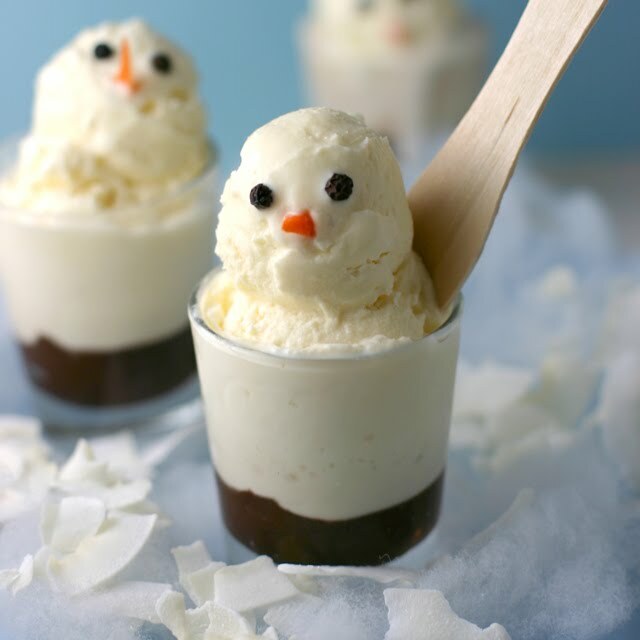 We found this terrific tiny dessert idea on the Gordon Gossip blog. It is the perfect after dinner treat, and it is just small enough to keep your family's New Year's resolution (Less sugar this year, right??) and enjoy a bit of chocolate too.